The only thing better than a pearl is a set of pearls. 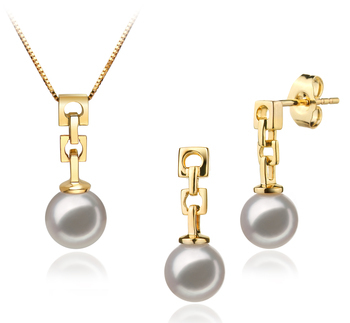 This White Japanese Akoya Pearl and 14K Yellow Gold Set displays the quality every woman wants in her necklace and earrings set. 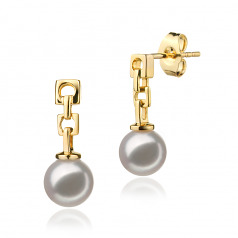 Each piece holds the highest standards in quality the AAA shape and AAA luster remain consistent with the 6-7mm white Japanese pearls. 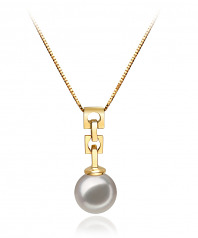 The 14K yellow gold link styled pendant and earrings feature a two link design extending down with the White Japanese Pearl gently swaying under in its entire splendor. The 14K yellow gold earring posts include the butterfly backs for a secure and comfortable fit. Show only for "Anya Set"